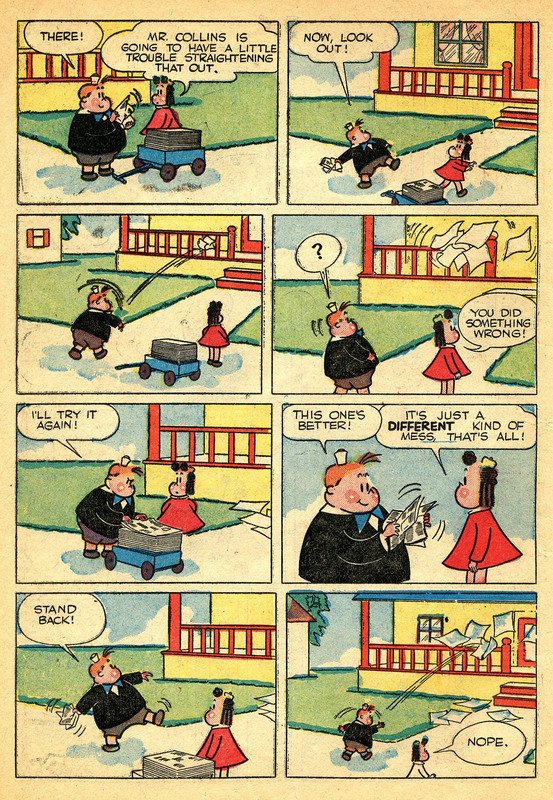 I've looked at some of John Stanley's Little Lulu stories so many times that it doesn't seem possible they hold anything left to discover. 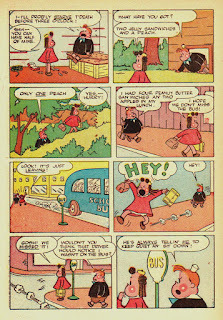 The first 10 Lulu comics, published from 1945 to late 1947 in Dell Comics' blanket one-shot 'Four-Color' series, are a fascinating study. 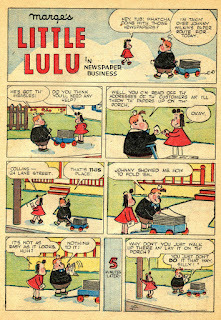 The style and themes of the long-running, best-selling Lulu comic book, launched at the start of 1948, were planted in these tryout issues. 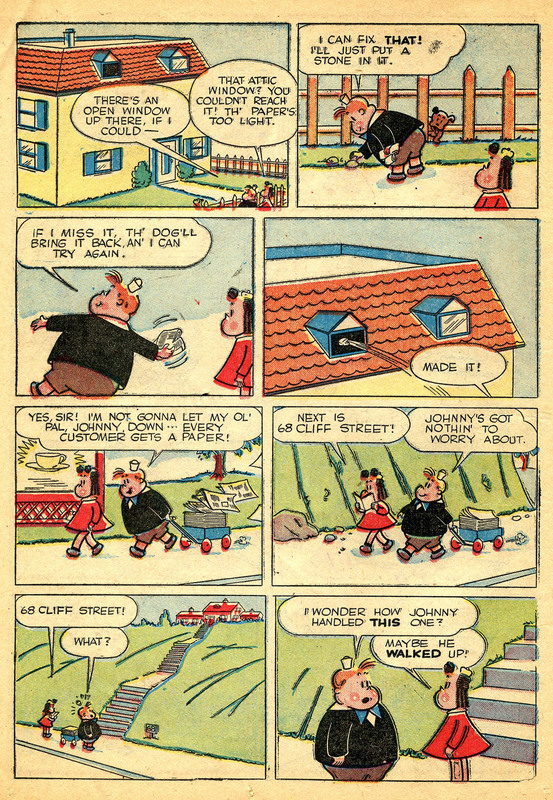 John Stanley's three writer/artist issues (FC 74, 97 and 110) contain some of his finest early work. 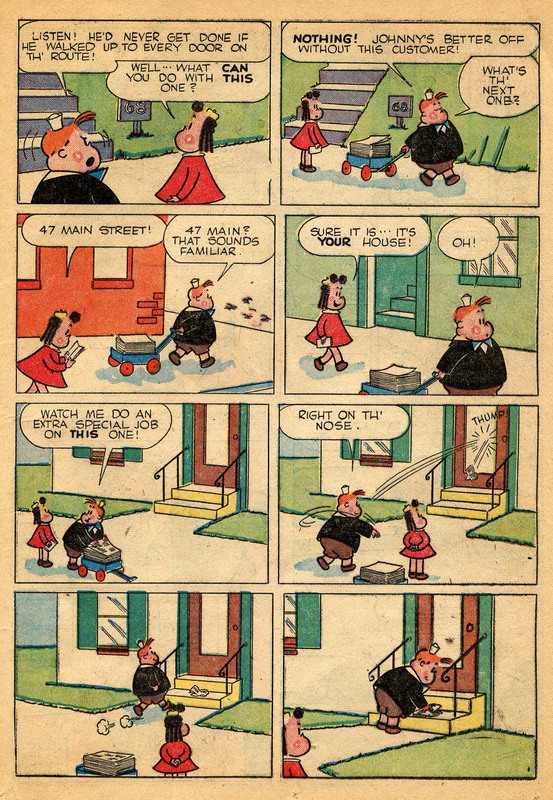 They show a comics creator working at the top of his early game, with promise and assurance in his purview. 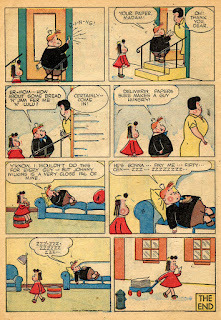 His take on the Marge Buell characters, which required the conversion of mute gag-panel figures into developed, vocal and interactive characters, took a few years to fully gel. 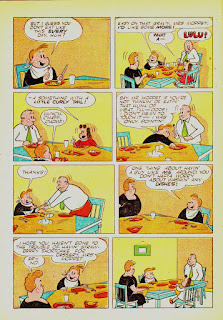 From the first "Lulu" story, Stanley's wit, and his understanding of what makes comics tick, keeps the work from seeming tentative or fumbling. The Lulu of 1945/6 may act more like Tubby, in his golden era of 1949-54, and less the voice of reason figure she becomes by decade's end, but she is a vivid, engaging character who is successfully different from the Buell iteration. This work was done with Buell's input and blessing. She supervised, and was pleased with, Stanley's work. 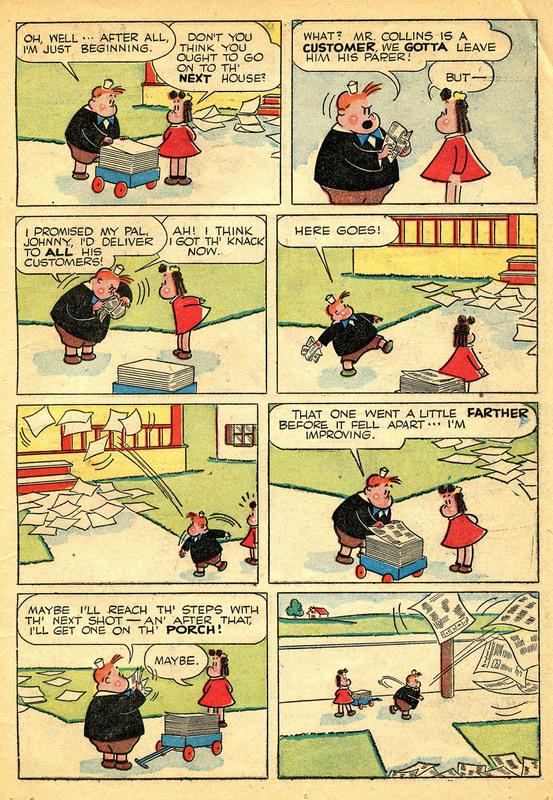 In early 1946, Buell might have assumed that he would work on the series, as artist-writer, in perpetuity. 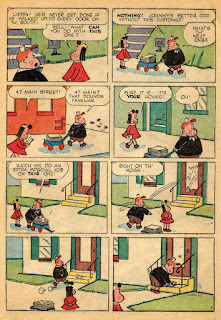 She got another 14 years of comics stories from him, but not in the form she first encountered. 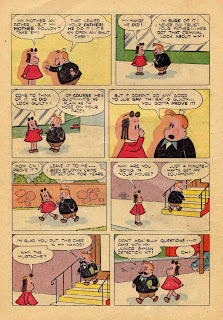 In a recent perusal of actual printed copies of the Four-Color Lulus, I've noticed how John Stanley transitioned away from his artist-writer role of the first three books. 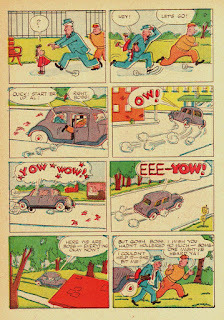 Above is an alphabet cobbled together from 1940s comics work that is certified (by others beside myself) as Stanley's, and Stanley's alone. 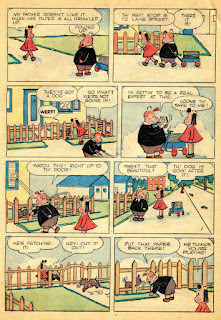 To Marge Buell's upset (at first), Stanley ceded the hands-on artwork of the still-new "Lulu" stories to the team of Charles Hedinger and Irving Tripp. 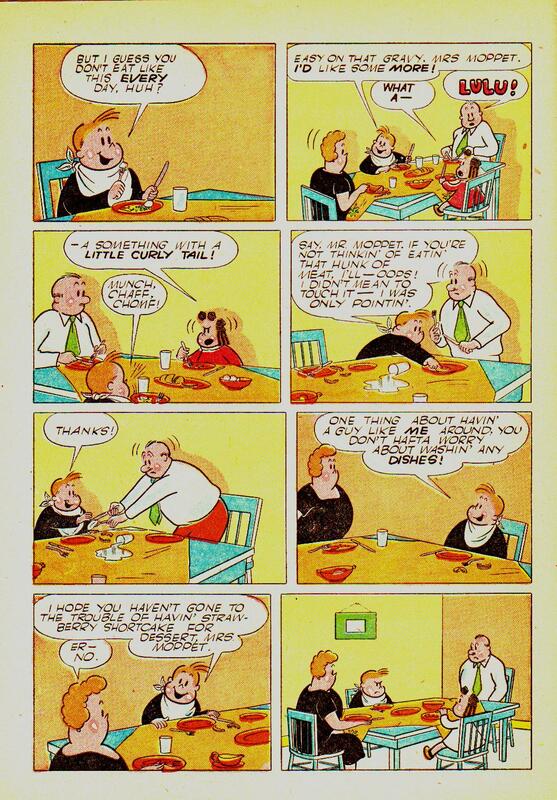 Michael Barrier details the mild drama behind this change in his fine survey of the Oskar Lebeck-headed Western Publishing, Funnybooks. 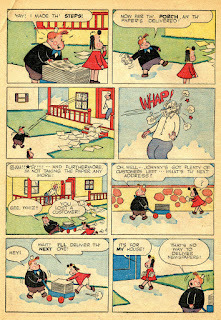 It was assumed that Stanley, even early on, used his most typical method of writing comics--with vigorous pencil sketches on foolscap or typing paper, which he sent, via mail, to Western's Poughkeepsie, New York offices. As Barrier reveals, Stanley seldom made in-person visits to the offices, and preferred to work from home. 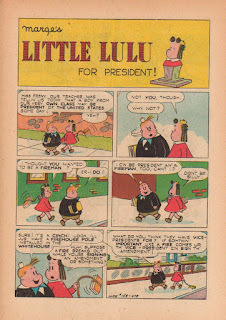 He was not especially close to Tripp, or the other artists involved with Little Lulu. His hand in these subsequent Lulu Four Colors appears to be more aggressive than historians may have imagined. 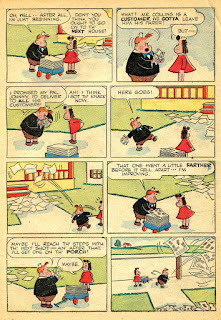 Though he surrendered the task of the finished artwork, he continued to letter these stories until the last two try-out issues (158 and 165), published in the last half of 1947. 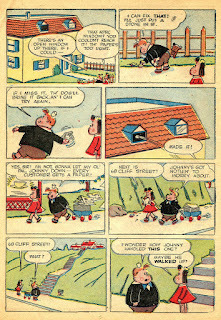 Here is a sample page from FC 115, with Stanley's lettering--and layouts more in line with his way of drawing--in evidence. 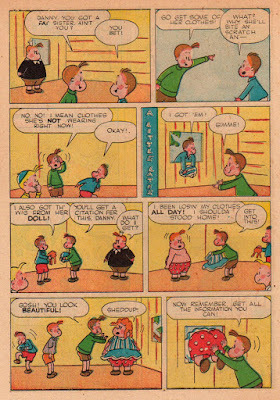 The spaciousness of the panels' layout--there is much breathing room in the boys' clubhouse, which appears to be the size of a grocery store--is in line with Stanley's earlier Lulus, and with his other work of 1946/7 in general. 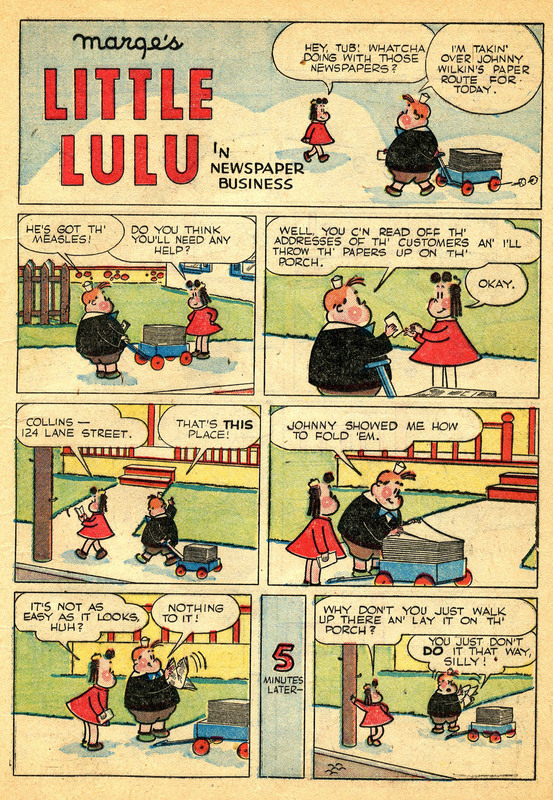 There is a lot of "air" around Lulu and Tubby in this story. Close-ups are absent, and the staging most often involves full figures, with plenty of background space around them. This literal distance from the characters belies the closeness Stanley accords them as fictitious beings. 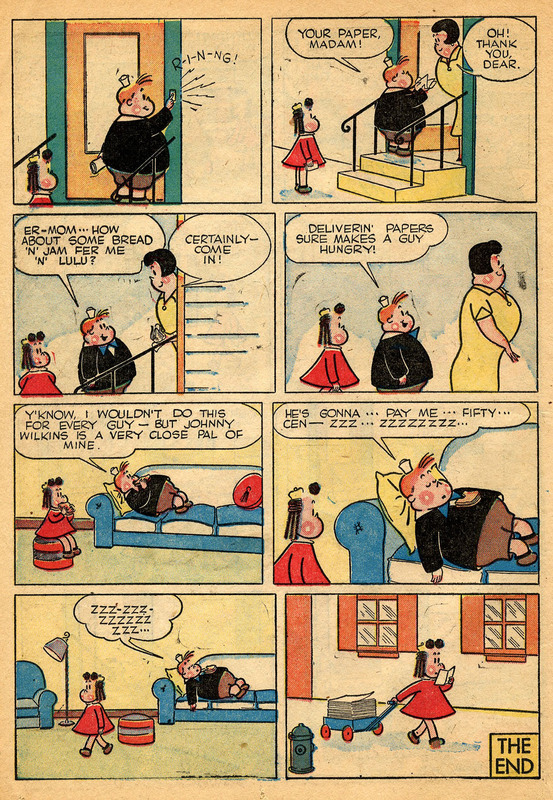 Early on, the misconceptions of how the adult world works, by Lulu and Tubby, is a constant source of charming, anarchic humor. They seem like little children, given the enormity of the space around them. This sense will gradually leave the series as it reaches its great period of 1949-54. There are, of course, no surviving notes as to who did what--or why. 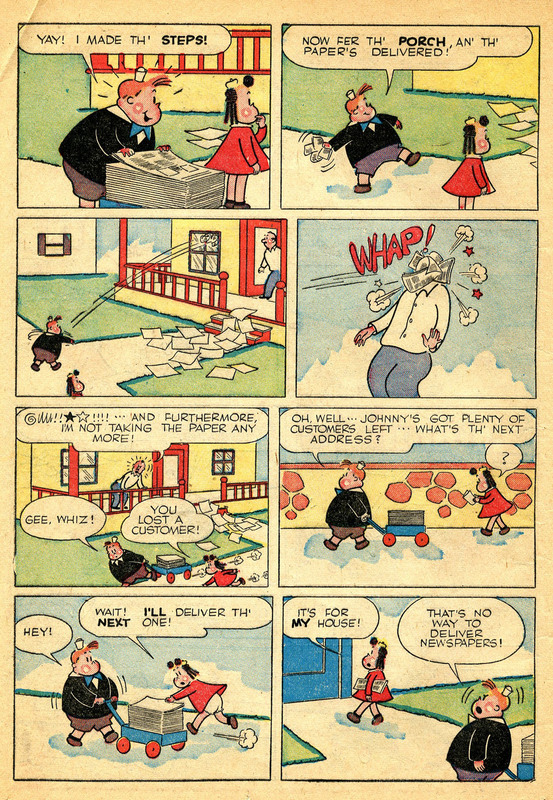 Stanley's lettering in five consecutive Lulu comics (115, 120, 131, 139 and 146) suggests that he may have submitted his work as penciled stories on illustration board, with his lettering and balloons drawn in ink. 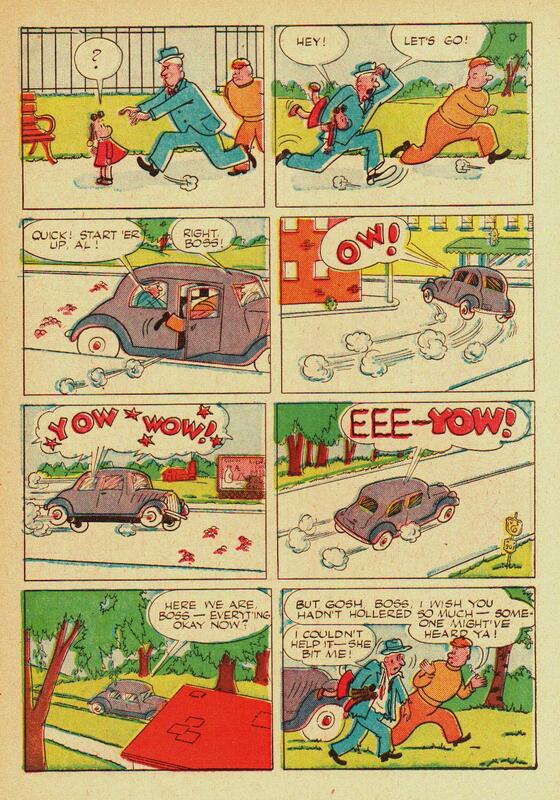 Stanley puts a slight italic note into his lettering for issue 146. 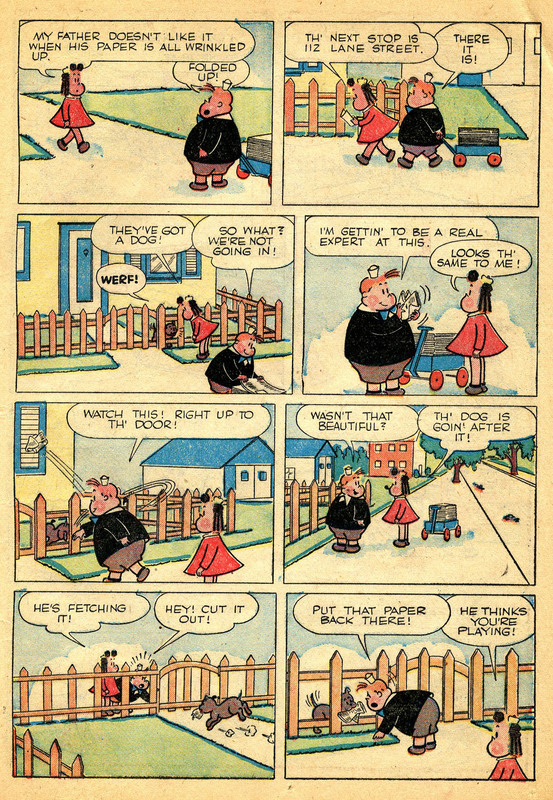 These three pages, though they show Stanley's drawing style absorbed into the work of the Hedinger-Tripp team, still feel like Stanley drew them. 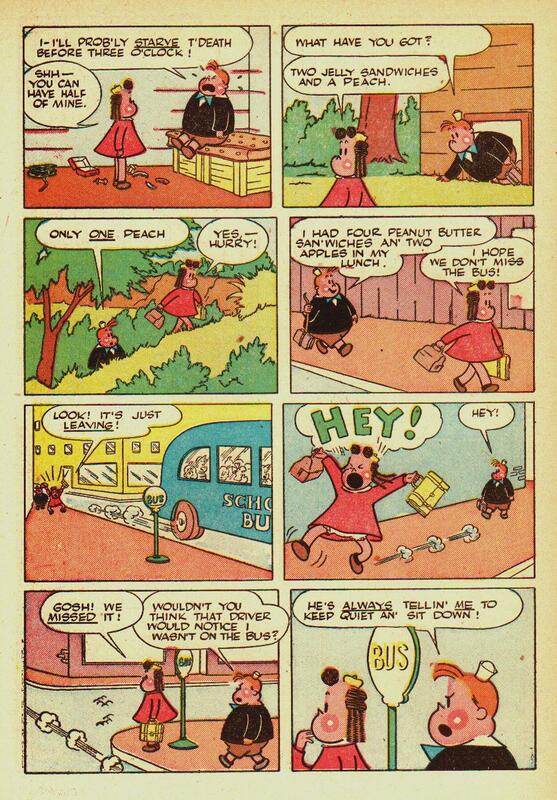 The last tier of the page from #158 illustrates what I mean by "cramped and claustrophobic." It's not a huge difference from the earlier issues, but it's noticeable. 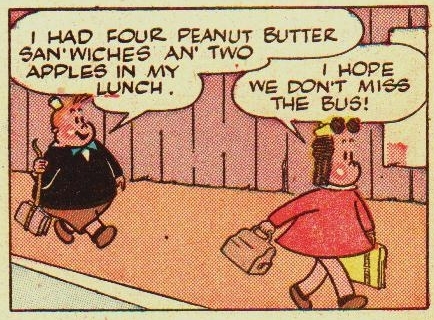 Perhaps this is due to the speech balloons. They get bigger after Stanley lets go of his role as letterer. That is a likely agent in this smaller, tighter feel. 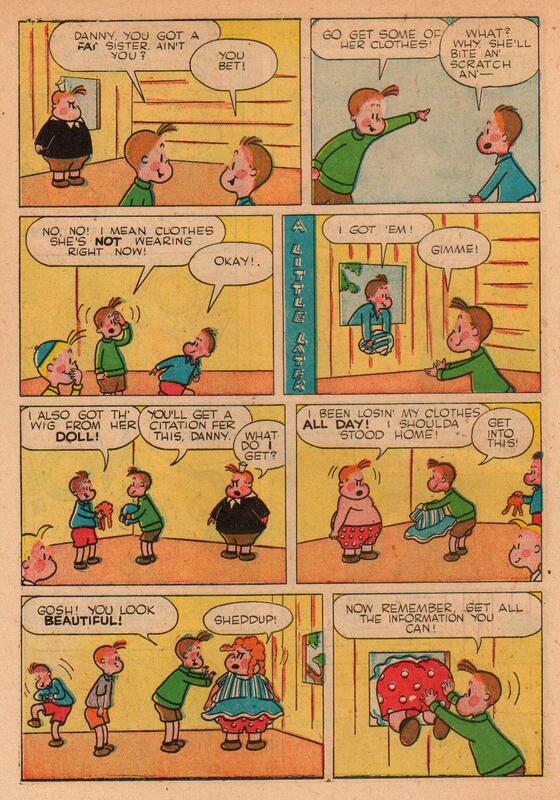 It's not bad work, by any means, but suddenly the Lulu comics don't look exactly right. 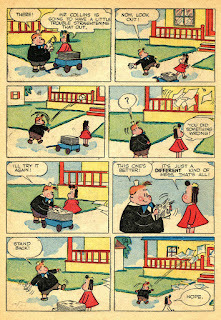 This uneasy transition will consume the 1948 stories, and continue until Tripp steps into the majority role as artist in 1949. 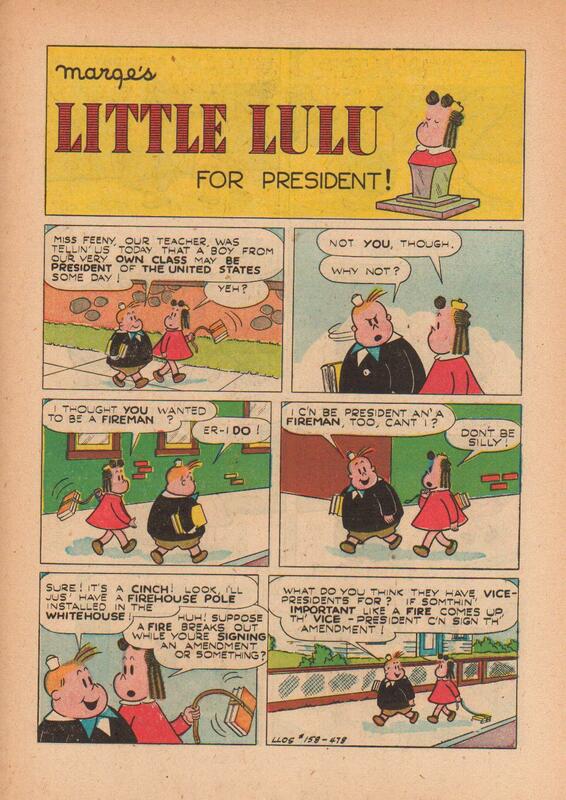 In that year, the classic look-and-feel of Little Lulu blossoms, and Stanley, Tripp and the other members of Team Lulu enter the series' true golden age--one that will continue at least to the end of 1954. P.S. : I have recently published a full-color, 8" by 10" trade paperback of some of my favorite essays from this blog, plus a couple of all-new pieces. It's called The Tao of Yow: John Stanley's World, and is available HERE. I suggest you buy copies from the re-sellers, who are simply ordering their own copies of this print-on-demand book and selling it for several dollars less than amazon.